Managing your money well doesn’t have to be a complicated process, and you don’t have to earn a degree in finance to learn how to be financially savvy. It is absolutely possible to live a comfortable, financially fit lifestyle, and it’s a worthwhile endeavor for obvious reasons. 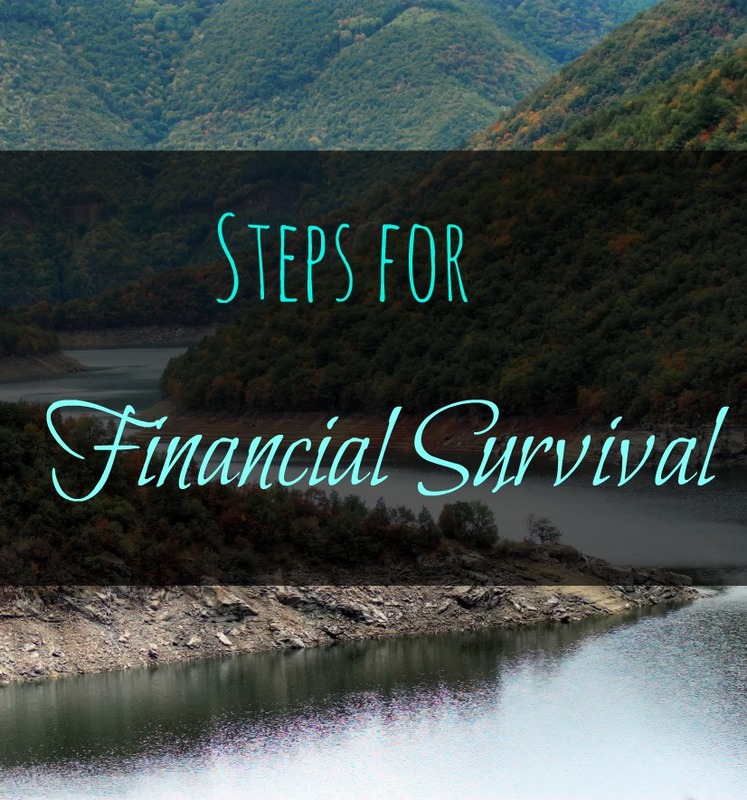 There are several essential tools that financially successful people employ, and if you want to get ahead with your finances and live well, you need to implement the following steps for financial survival. The most obvious rule of thumb when it comes to surviving financially is to spend less money than you earn. It sounds simple, and it is, because it’s the only way to save money and to live within or below your means. If you’re charging your expenses on credit cards that you can’t pay off at the end of the month, then you’re spending more than you earn to sustain a lifestyle you can’t afford. If you have to charge it, then you can’t afford it, period. Cut up your credit cards or freeze them in blocks of ice, if that’s what it takes. Spending less than you earn might be a difficult step to take, but it’s crucial if you want to take control of your finances and save some money. In order to spend less than you earn, you first have to know how much you’re spending each month, which means that you have to track your spending. It may seem daunting initially, but it doesn’t have to be difficult. There are many ways you can do this. You can pay everything via a debit or checking account for an easy way to track expenses. If you prefer cash, you may have to write every charge down on paper (or record it on your phone or computer), or save all the receipts to sort later. There are online resources to help you as well, like the free website Mint.com. The way you choose to track your spending isn’t important. Just take charge and actually do it. You won’t have any idea how much you’re spending unless you track it first. Once you can see clearly on paper (or screen) how you’re spending your money and what you’re spending it on, hold yourself accountable and don’t make excuses for your purchases. Whatever it is, acknowledge it. We all have our weaknesses! From there, make a budget. It doesn’t have to be a fancy budget, and you don’t have to be a whiz at Excel to do it. You don’t even need a computer to do it. Many first time budgeters appreciate an all-cash budget to start with. The all-cash method is easy because once the money’s gone, it’s gone. If you overspend in one area, you have to pull the cash from another area, so there’s really no way you can fudge this kind of budget. It’s fool proof (and beginner proof!). Adjust your lifestyle if you must in order to get your spending under control so you can gain some breathing room and start saving some money. The goal is to rid yourself completely of consumer debt if you have any, and never step foot into it again.Once your debts are paid off, you can focus on socking away all of that extra money (which is way more fun than paying off debt!). If you find out you are spending too much, you have two clear options: spend less or earn more. I enjoy my free time, so I always tend to think the better option is to simply spend less, but if you really think you can’t make any further cuts, consider other ways to make additional money. Side hustles are hugely popular these days, and it can be fun to try to turn a hobby into a money-generating business if you’re able. You could consider freelancing in your field to earn extra money, opening an Etsy shop, or picking up weekend work such as babysitting, mending clothing, or mowing lawns. There’s no shame in creating an extra income stream for yourself. Creating a side hustle you enjoy could be more exciting for you than simply taking on a second job. The only way to live a comfortable financial life and save money on the side is to live below your means. Many people don’t live within their means (since it’s the American way to live off of credit), but that kind of lifestyle will catch up to them eventually. If you aren’t living below your means, then you aren’t saving any money, and that’s a great way to set yourself up for financial ruin, such as bankruptcy. If you have to pay off some debt to gain some breathing room in your budget for savings, work on doing it now rather than later. Then, work on that budget and stick to it no matter what. An important step to setting yourself up for financial survival is to create an emergency fund if you don’t already have one. The amount you need in your emergency fund is dependent on what makes you comfortable and what you can afford to set aside. The general rule of thumb is always 3 to 6 months of living expenses. It’s also a wise idea to keep this fund completely separate from your other checking and savings accounts. It needs to be harder to get to so you aren’t tempted to spend it on things that aren’t really emergencies. What constitutes an emergency? You need a clear definition of what counts as an actual financial emergency, especially if you share your expenses with a spouse. A sale at your favorite store does not count as an emergency, but the hot water heater going out in your home probably does, as does a job loss. If you do have to empty out your emergency fund for any reason, make replenishing it a priority as soon as you’re able. In the event of a job loss, it can also be practical to determine your bare bones budget. As its name implies, a bare bones budget is the minimum amount of money you can get by on per month. You may even want to base your emergency fund off this amount (multiplied by 3 to 6 months). Start by taking your regular budget and removing all unnecessary expenses. Expenses that should remain are mortgage/rent, utilities, grocery bills, debt repayment, etc. Cable bills, clothing expenses, dining out, and entertainment need to be put on hold until your financial situation is back on track. What happens if you’ve done none of this and you’re in a tight spot now? Here are a few tips to get you started. Do your best not to charge anything on a credit card if you’re in a financial emergency, unless you can afford to pay it off in full at the end of the month. It will be so much easier to get back on track in the near future if you aren’t funding your life with credit cards today. Avoid it at all costs. Anytime you withdraw money from your retirement account, you’re hurting your future self and setting yourself up for some major tax penalties now. A withdrawal from tax advantaged accounts typically means you’ll not only pay taxes on it today, but you’ll also pay a 10% early withdrawal penalty. It’s not worth it. Get as creative as you can with your grocery bills, and try not to buy unnecessary items if you can (soda, sugary snacks, chips, processed cereal, and general junk food). It maybe be cheap, but it adds up and you can live without it. Shop the far recesses of your pantry and freezer to use up items you’ve had for a while. It may result in some interesting meal options, but creative dinners like this will help you save a ton on groceries. Just remember, it’s only short term! Absolutely no eating out or shopping, as in none, period. Eating out always costs more than making your own meals at home, so cut this expense if you’re experiencing a financial rough spot. The same goes for shopping. You probably have enough clothing in your closet to last you years, so there’s no excuse to buy any clothing right now. Last but not least, if you’re currently in a financial bind, simply stay home (unless you’re searching for a job). It’s the easiest thing you can do to save money, and it will help you from being tempted to spend money on entertainment and food if you are out and about. Whether you’re in a current financial emergency, or simply trying to prepare for a future financial crunch, sometimes it’s not always going to be easy to save money. During those tough times, remind yourself why you’re doing it. Put a note in your wallet and one on your refrigerator if you have to. Remember, you’re trying to help yourself by giving yourself a better financial future, and that is absolutely worth it. What do you do to prepare for a financial emergency or give yourself a secure financial future? This article by Robin McDaniel first appeared on Everything Finance and was distributed by the Personal Finance Syndication Network. Next Next post: Shirley, You Can’t Be Serious. Airplanes Are Hackable? !